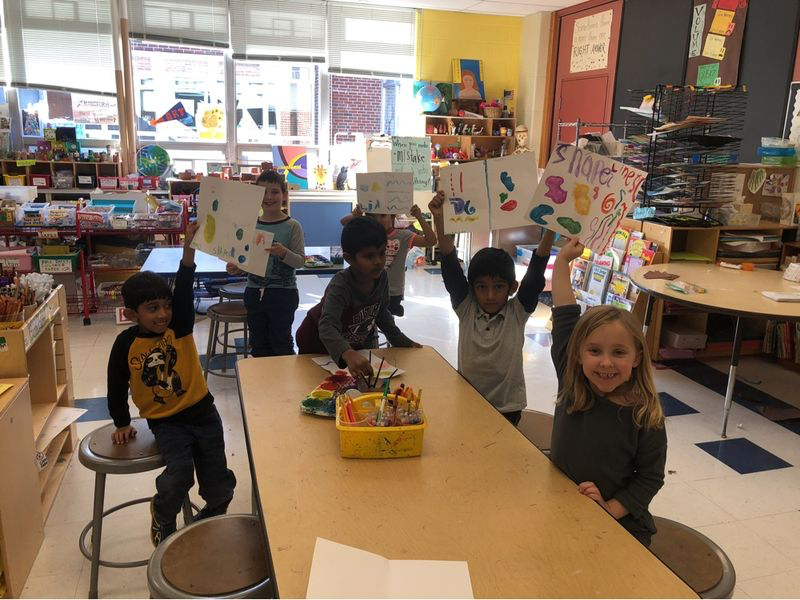 Kindergarteners learning about lines and shapes and creating their own geometric and organic paintings. 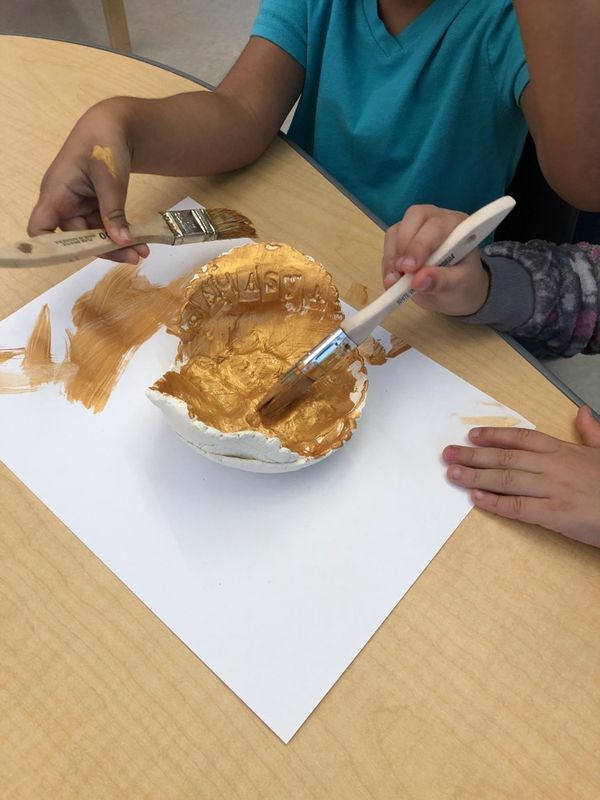 PreK students painting the ceramic bowls they made with stamps and leaf textures. 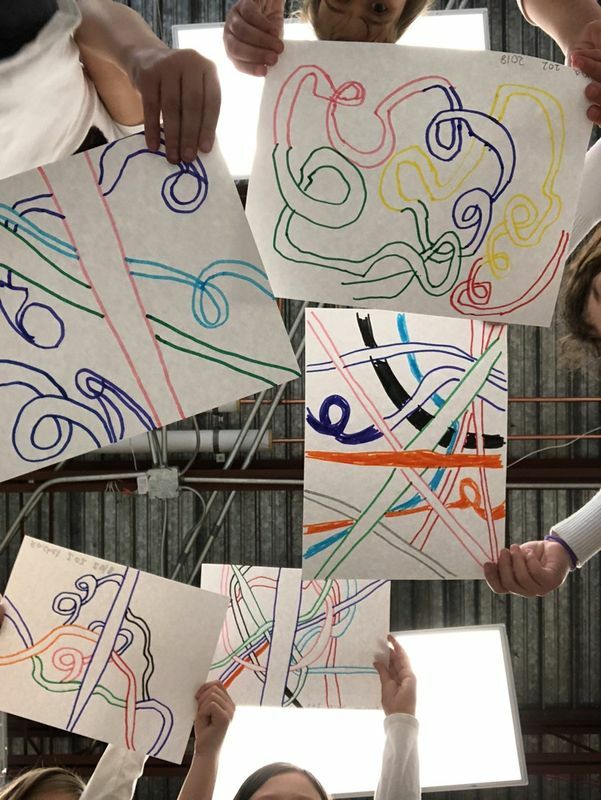 2nd grade overlapping line drawings inspired by our exposed ceiling. 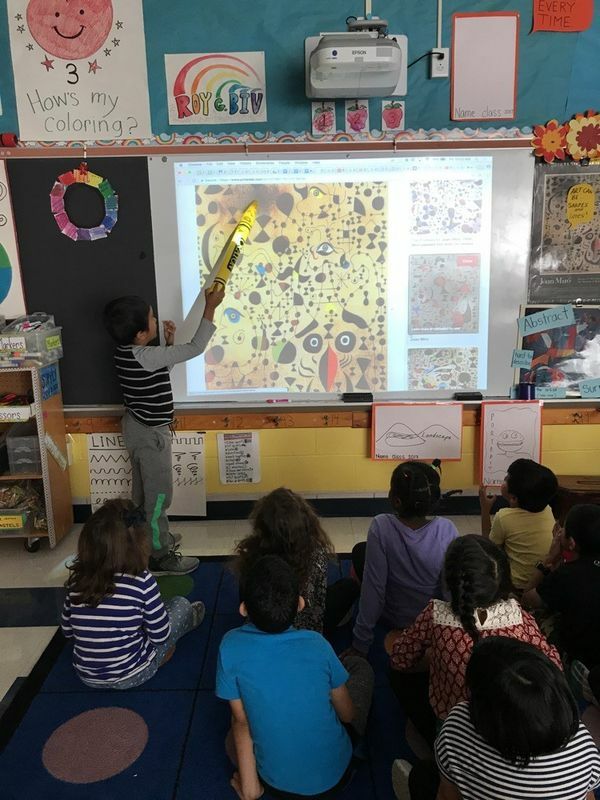 First Graders discussing the paintings of the Artist Miro. 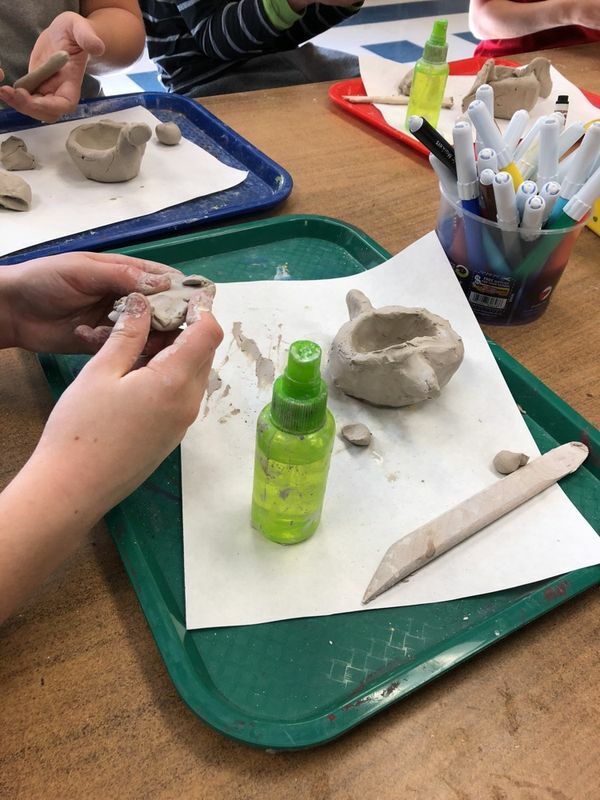 3rd graders creating ceramic vessels of the endangered species they studies in science. 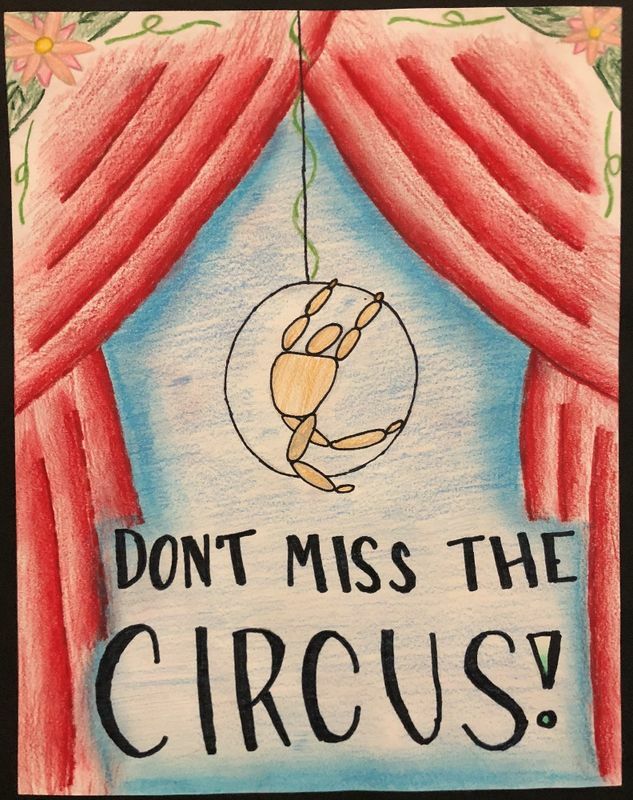 5th graders working on their "Narrative Illustrations." 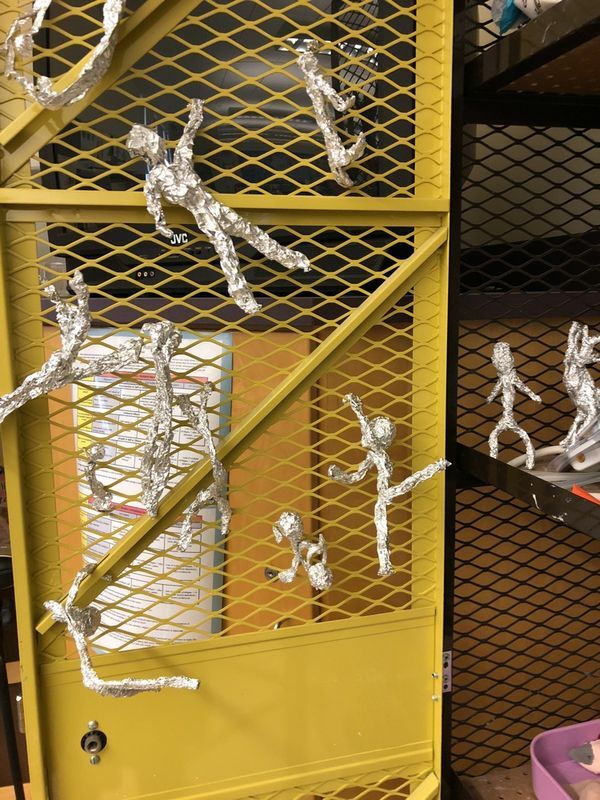 We have been involved in some very exciting art making! PreK students across the street from Hastings at the new Westborough Early Childhood Center (WECC) have been creating pinatas and using stamps and textures on kiln clay to create unique name plaques. Kindergarteners have been learning about organic shapes and the difference between shapes and lines. 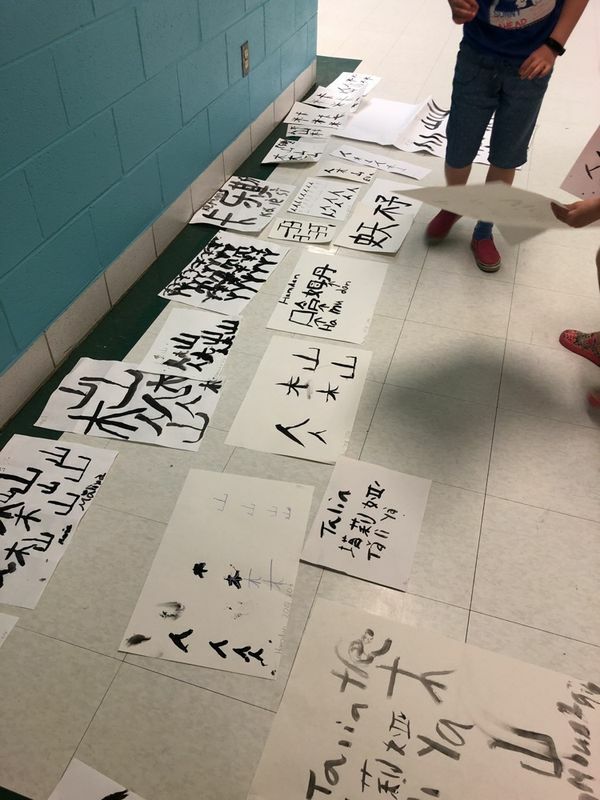 First Graders have been learning about how artists like Miro use shape and line to create Surreal and abstract art. 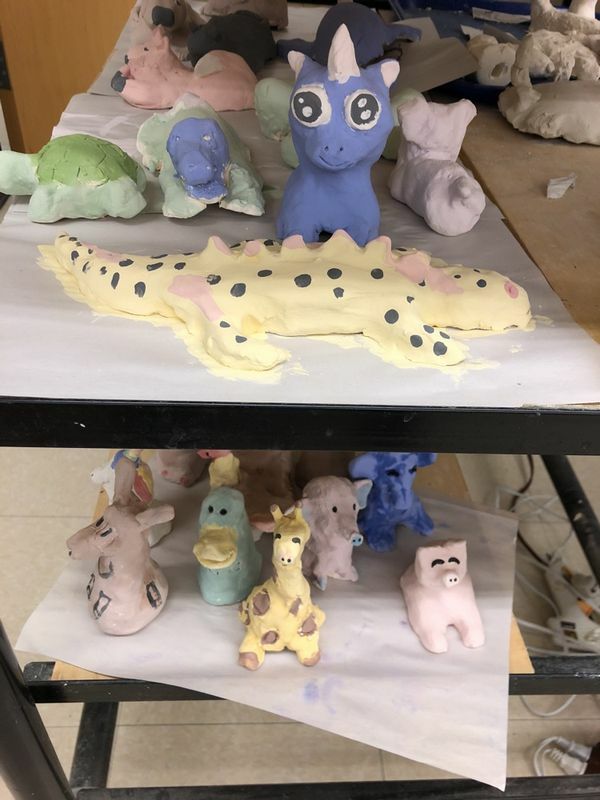 Second graders have been creating colorful emotion monsters and translating their creations into 3d form in sculpture. 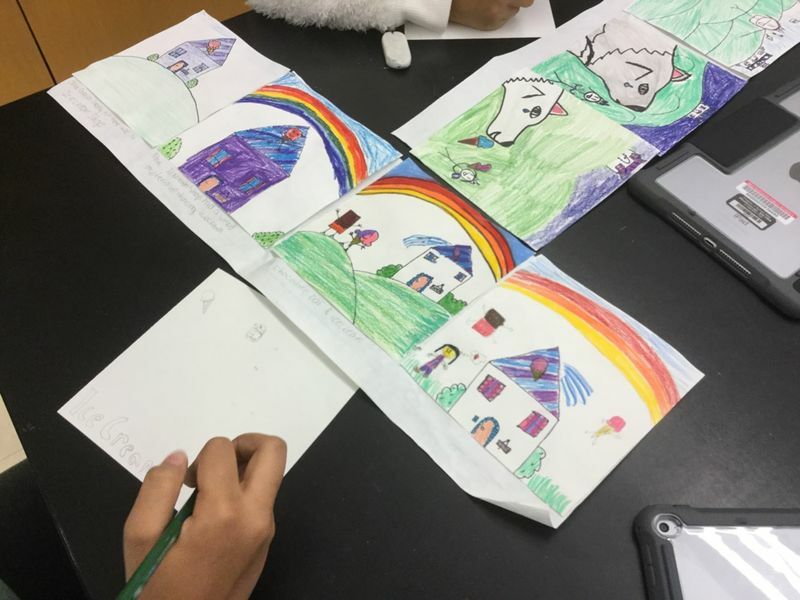 Third Graders have begun drafting their Victorian House pictures and have been learning new Architectural terms for the parts of a building. 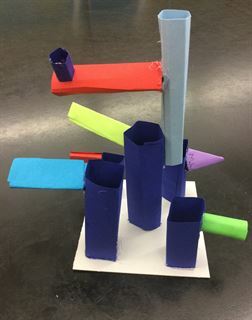 Fourth Graders have been creating elaborate 3D forms from flat paper. 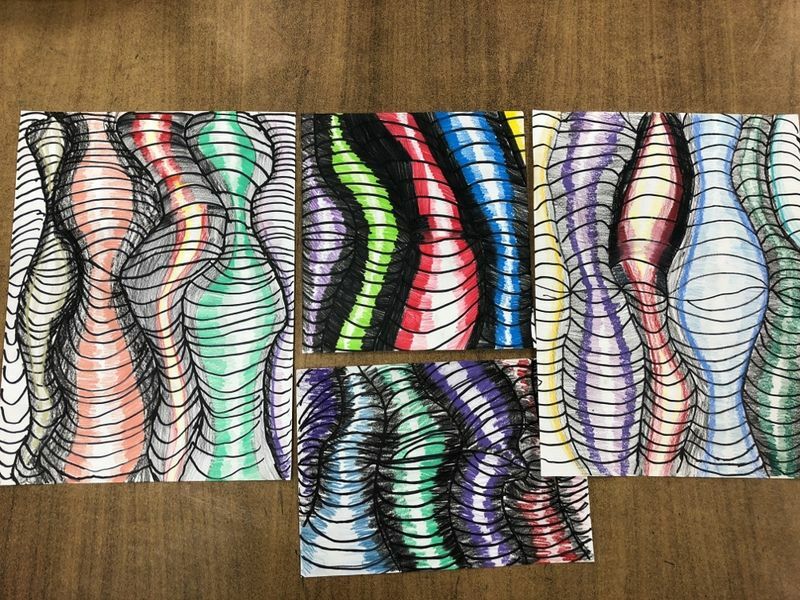 Fifth Graders have been learning about contour line and texture in a shoe drawing. Sixth Graders have been using watercolor to create fantastical galaxy skies and serene still lives.